This one is really two in one as you can use the LCD unit independently from the main board. 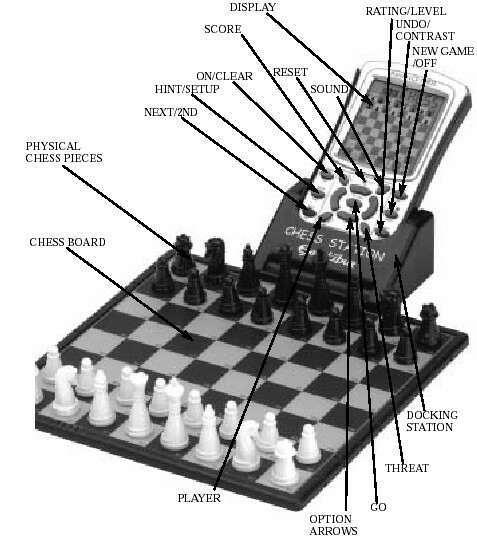 The computer is the Pocket LCD Chess Model 975P-1. You get a full-featured travel unit that features an LCD stand alone unit plus you can just plug the Chess Station into its docking station and use the included magnetic sensory board! Excalibur claims a tournament rating of 1750. Includes Excalibur's teaching mode. It also rates your games.